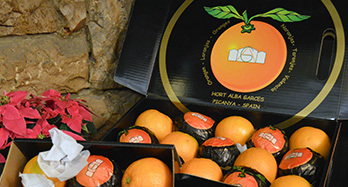 Welcome to Hort Alba Garcés, birthplace of the best Valencian orange, where you can buy oranges of the best quality, freshly caught, without intermediaries and a comprehensive agriculture. 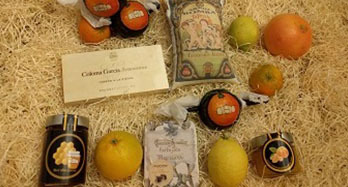 You can enjoy our citrus products from the tree to your home. 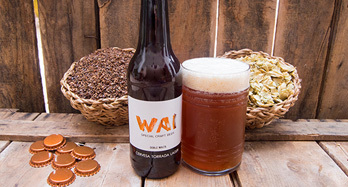 Without intermediaries, without chemical treatments, and collected in an artisan way. 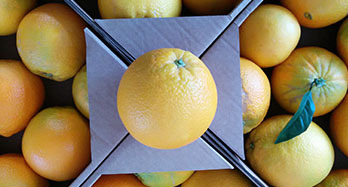 We are dedicated to selling oranges to individuals and to large consumers. 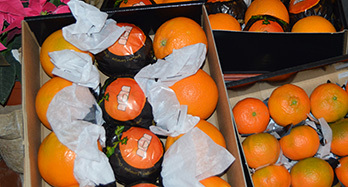 And thanks to a lifetime of dedication, we managed to get the best orange from Valencia to the whole peninsula and part of Europe. 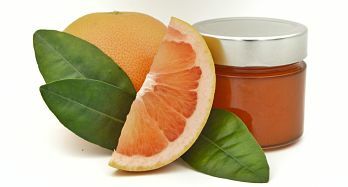 In addition to oranges, in our store you can find other varieties of fruit, such as mandarins, lemons, grapefruit, pumpkins, kakis, pomegranates, honey, marmalade, turron or rice. Try them! All our prices include VAT and transport. For any doubt, request or consultation, do not hesitate to write us in our contact section. 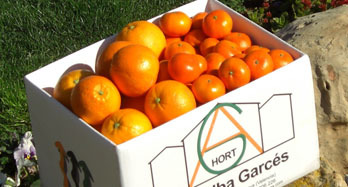 Hort Alba Garces, mandarins and oranges at home. 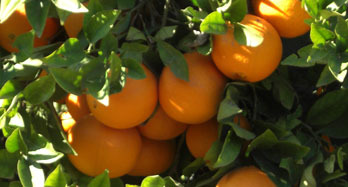 When you buy oranges from our fields, you not only buy fruit but also quality. We serve you directly from the tree to your table, just as we take them. 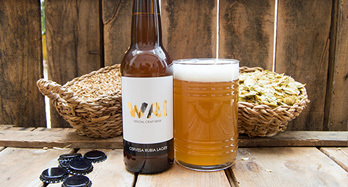 Hort Alba Garces is a family of farmers whose goal is to sell our oranges, mandarins, lemons, grapefruit and pumpkins directly from the tree to the consumer, so that you taste the excellent Valencian fruit in its pure state. Ours are citrus fruits of integrated agriculture, one hundred percent natural, matured in the tree without any chemical process of maturation and are products that will be at your table in 24 hours. In addition, we can guarantee that all our fruits are harvested and handcrafted. 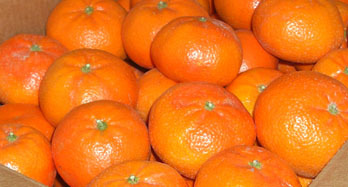 The different dates of purchase of oranges occupy a wide range of varieties and months of the year. The Navelina can be purchased between November and December, the Navel Washintong between December and January, while the Navel Lane Late covers the months of February, March and April. The same thing happens in the sale of mandarin. The Clemenrubi can be purchased in October, the clementine between October, November and December, the Hernandina from December to February and finally the Tardia between February, March and April. The date of maturation and duration of these fruits depend on the climatology of each year. In Hort Alba Garcés we guarantee the sale to individuals, companies and restaurants. We personalize the shipments of our products for company and private gifts. With the purchase of oranges and tangerines that you make, not only buy a product, but a lot of new sensations that differentiate us from those other fruits that you ate from a neighborhood store, market or supermarket. Orange, mandarins, lemons and grapefruits are part of a large group of plants, known and planted worldwide, especially in temperate zones. It is one of the most traveling plants, called "agriculturist", because it extends from different parts of Asia to Europe and later to America, being in the Antilles the place where the first tree is acclimatized, carried by the Spaniards in the last years of the 5th century and early 16th century. The great extensions of orange fields is a green continuum in all continents, being one of the most familiar landscapes of the Valencians, especially in the regions where this cultivation is traditional, long rows of green and bright rounded orange trees, with a special smell of wet soil and in spring the delicate scent of its flowers (Orange blossom) that transports us to an unusual and wonderful forest that was so well described by Blasco Ibáñez. (Among orange trees). This spectacular landscape, not natural, is the transformation carried out by our ancestors, with a lot of work and patience, changing lands of rainfed, with plantations of carob, olive trees, etc. 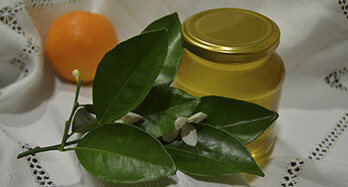 To fertile fields of orange trees, taking advantage of the good climate of the zone. (Mediterranean climate).